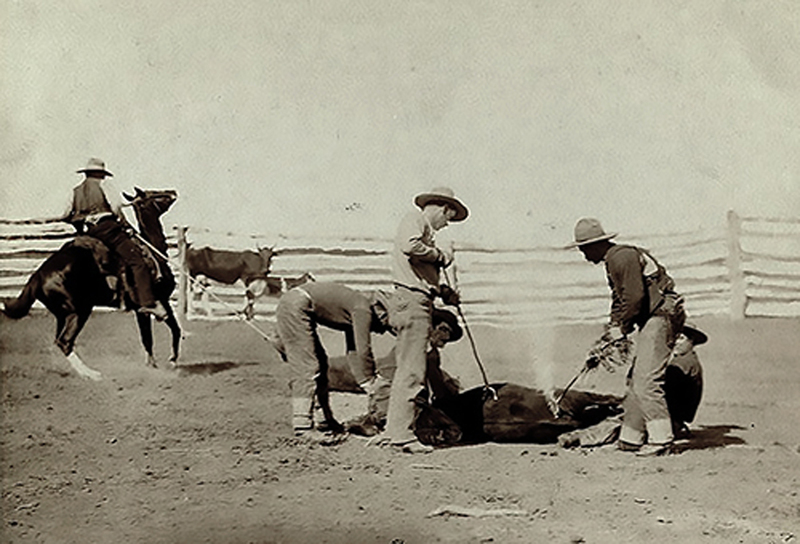 Branding in a corral involves first roping the cal. In some instances, the corral would have a snubbing post where the calf could be tied while stretched with a rope so the iron could be applied. Following the branding, the calf would be “marked;” i.e. turned into a steer, which produces the local delicacy known as “Rocky Mountain oysters” — a term used for a dish made of deep-fried bull, pig or sheep testicles. Learn more about branding cattle.